We wake up to the sound of gentle rain outside, which is quite pleasant as long as I don’t have to go out there. I dismantle and reassemble the poorly constructed coffee plunger while my room-mate starts whipping up a (very appreciated) storm across the rest of the kitchenette, resulting in eggs, toast and proper coffee for breakfast, without us having to gear up and ride somewhere to get it. It’s a nice refrain, brief as it may be. It’s still drizzling steadily when we have finished packing up and getting ready, so we set out anyhow, hoping for the best. A short while later, the steady rain softens to occasional sprinkles and gusts of wind as we head towards to coast. 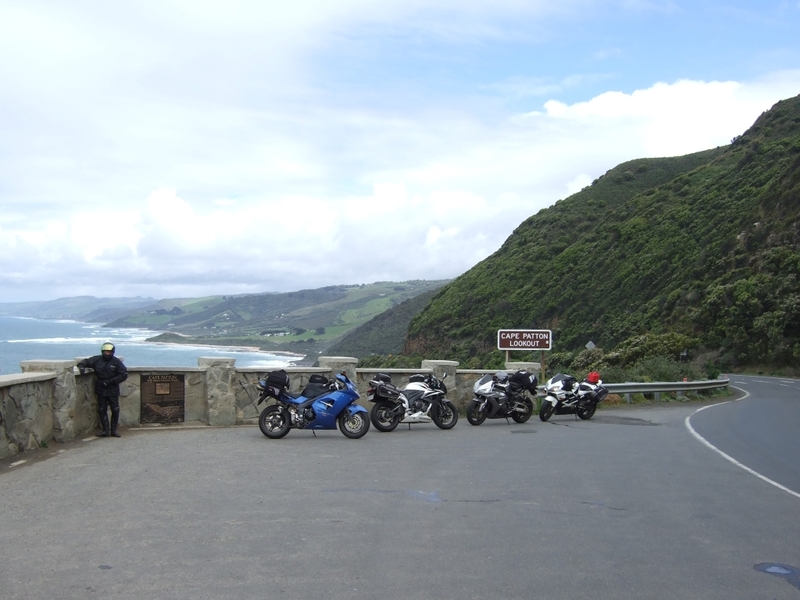 Cruising down to catch sight of the water at Port Campbell, we meet the Great Ocean road, and it is an epic piece of work. The weather isn’t particularly happy-snap friendly, so we just tootle past the seven remaining Twelve Apostles, and roll on to enjoy the black stuff. The first leg of the road is wet all through, and while parts were wide and sweepy, there was an absolutely gorgeous section of 30-70kmh corners that reminded me of the hills surrounding Adelaide (although these were not quite as smooth). The roads duck and weave around the edges of hills just hidden from the ocean breeze, and we are lucky enough to be almost completely alone on the road. Every sane person is waiting for the weather to clear up, and all the other loons are already at Phillip Island. We stop in Apollo Bay (which is just beautiful by the way) for fantastic coffee and a brilliant muffin (actually, to clarify, I had a brilliant muffin. 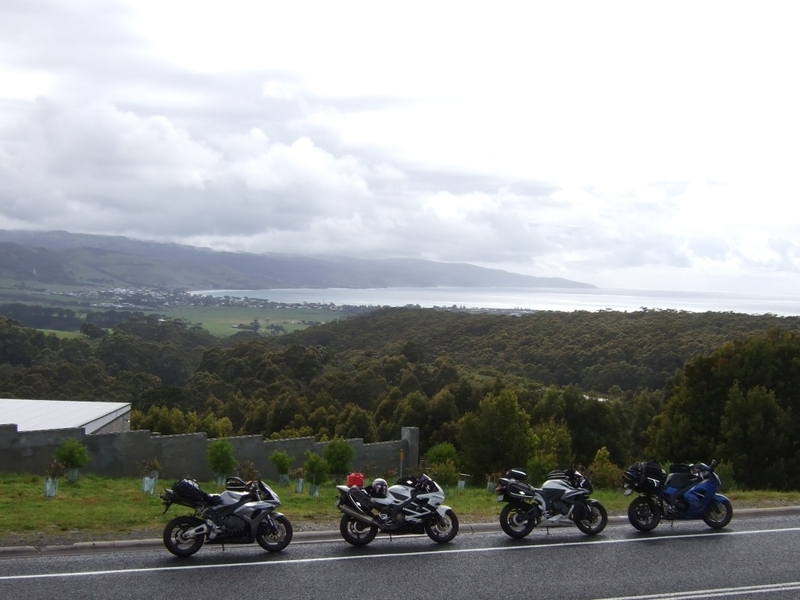 Too brilliant to go sharing about), and after filling up and chatting with a couple of other riders we meet at the servo, we work our way up the second half of the Great Ocean Road, which is even more fantastic than the first, and the weather became clearer and clearer as we went on. 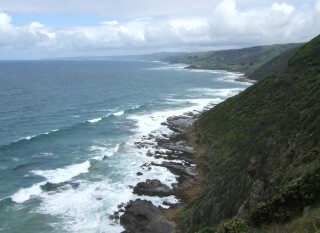 The Eastern leg of the road snakes along the ocean side of the ranges, and the view is just phenomenal. Occasionally we find outselves behind a truck or bus for a while, as the road is frequently too tight and twisting to pass safely, but the beauty of the coast makes up for any bother with the delay. 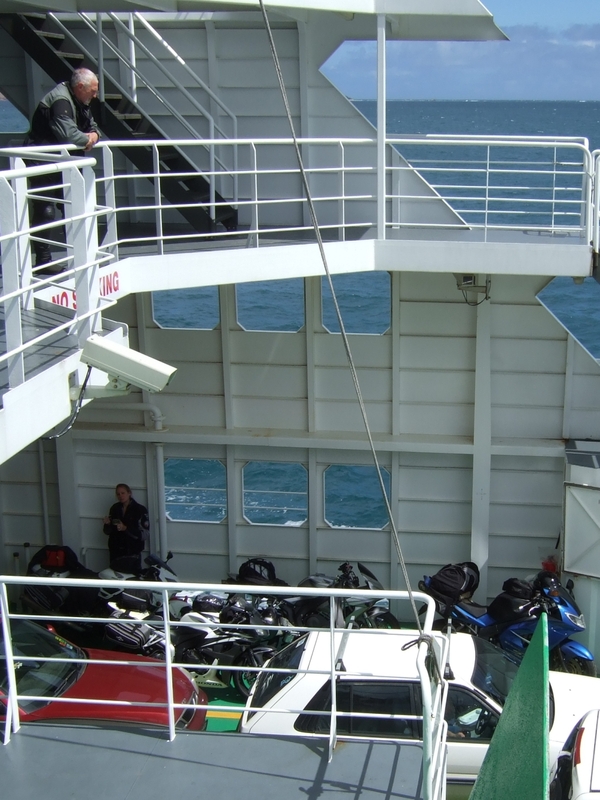 We eventually make it into Queenscliff and catch the ferry over to Sorrento, which was a kind of fun first for me, and another chance to stretch my legs and get a coffee. I have not been over water with my motorcycle before, and it was interesting looking at my friend’s GPS with its little motorcycle avatar travelling over a large blue ocean. 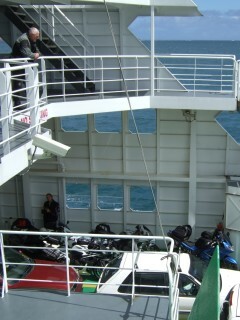 The landing at the other side of the bay was interesting though, as they conduct it using a number of rubber-covered pillars in a kind of bumpy, touch-parking pinball sort of way, which is fine… unless you leave your top-heavy 1200cc BMW motorcycle on its centrestand like the fellow behind me did. The first bump was not an insignificant one, but the second was larger, and managed to topple the bike onto the floor without too much trouble. Thankfully the owner had ticked all of the accessory option boxes on his order form and the crash protection gear worked wonders. 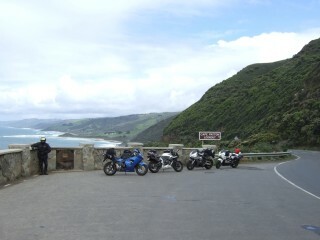 We take a few back roads to dodge suburbia and the freeways as much as possible, and I part ways with my friends at the turnoff to Phillip Island as we’ve arranged separate lodgings, and a short time later I arrive in one relatively intact piece. After unloading my gear from the bike, I scoot into Cowes to grab some milk, juice and cereal, and the town is overflowing with motorcyclists. They fill any nook, cranny or gap from one end of town to the other, as helpless cars try to find a place to park when the highway patrol turns them around, instructing them that the main road is motorcycle-only from this point on. My house-mates for the weekend get back from the racetrack where they’ve spent the afternoon, and we head back into town for dinner at the Isle of Wight Hotel, where I run into some of the racers from back at home and devour a large and thoroughly satisfying bowl of pasta. A short while later, I hit the shower at the house and pass out on the top bunk with little trouble around 11pm, to sleep soundly and dream about motorbikes.